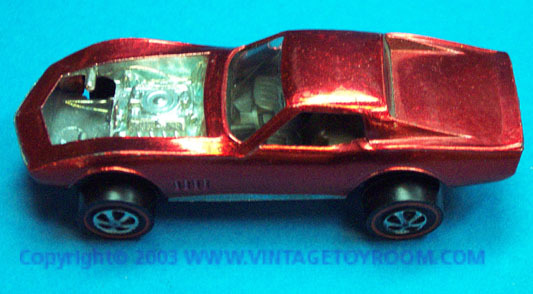 Current feature: Mattel HotWheels "Redlines!" In 1968, Mattel entered the diecast market with an assortment of cars under the name "Hot Wheels". 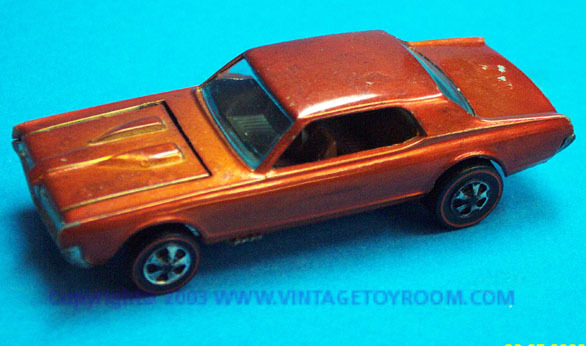 Today these early cars that span up through 1976 carry the famous "redline" embossed wheels. If you like Redline Hot Wheels, I encourage you to pick up the book: The Ultimate REDLINE GUIDE, by Jack Clark and Robert Wicker. Cool book indeed for everything you wanted to know about redlines, and great pictures of them and their variations. 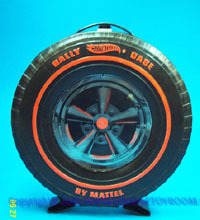 The book does a great job detailing these cars, and showing several cariations of colors and mold changes with the cars. 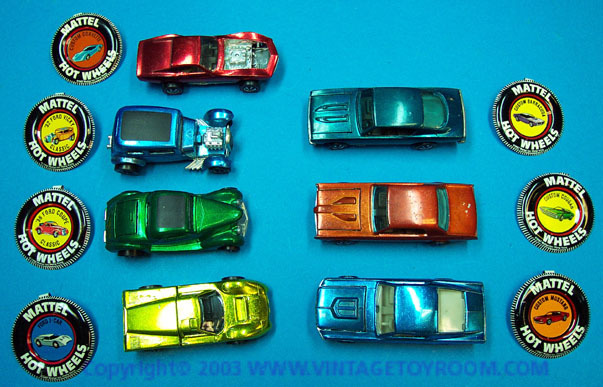 Like Marx action figures, I also had my share of Matchbox and Hot Wheels cars. 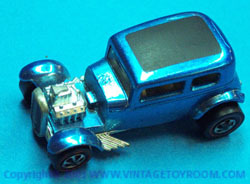 recently I picked up a case with some great redline cars. See picture to the left of the case with some of the cars in it. Many of these images I show can be clicked to see the larger image. A big difference I see in older Hotwheels is the scale. They seem a bit smaller, yet more detailed. I really like how they feel compared to cars of today. 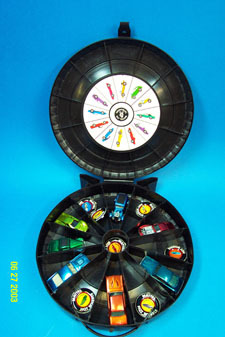 Many hotwheels today have plastic Chassis, plastic bumpers in many cases, and to me the wheels are oversized for the car scale. When you look at these images, you can get an appreciate for yet another toy of our youth in the 60's and 70's. 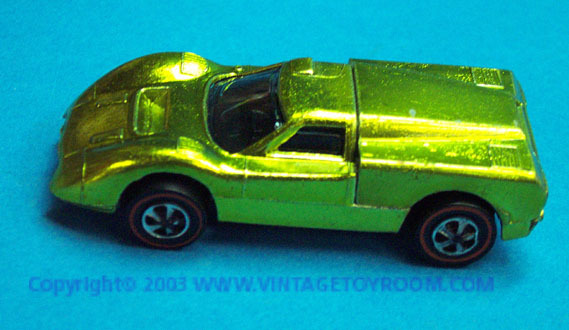 The golden era of toys for many of us Baby boomer an post baby boomer kids. As another side note, these cars came with little buttons. The buttons had an image of the car it came with on it. Tom- VTR .... Enjoy the images!